The Ohio Invasive Plants Council is a coalition of agencies, organizations, and individuals throughout Ohio concerned about the introduction, spread, and control of invasive, non-native plants in Ohio's natural habitats. OIPC promotes public awareness of invasive species issues and encourages land management and research to detect invasive species and prevent new invasions into natural ecosystems. OIPC was formed as a 501(c)(3)not-for-profit organization in 2005 as a result of efforts in the late 1990's to improve awareness of the threats of invasive plants. FREE Workshop on "Native Plants: Gardening with a Purpose" on Saturday, April 27 in Twinsburg, OH. This workshop is being offered by the Twinsburg Garden Club with the Twinsburg Park and Recreation Department. See their flyer here. Click here to see the newest additions to the list. Plants determined to be invasive are Canada Thistle (Cirsium arvense), Poison Hemlock (Conium maculatum), Wild Parsnip (Pastinaca sativa), and Amur Corktree (Phellodendron amurense). OIPC 2019 Research Conference Was a Success! The Ohio Invasive Plants Council (OIPC) held its sixth research conference on February 13th, 2019 at the Nationwide & Ohio Farm Bureau 4-H Center in Columbus, with more than 175 people attending. The conference, titled "Better Together: Connecting Invasive Plant Management and Research", included 13 speakers covering topics related to invasive plant research and control efforts. The keynote speaker was Dr. Karin Kettenring, who spoke about effective management of wetland invaders, particularly Phragmites. There was also a new session, “Rapid Updates”, which focused on the outcomes of invasive plant management projects by land managers from across Ohio, and 13 poster presentations describing current research and management projects. Download a conference program HERE. OIPC is very thankful for the 19 sponsors who helped to financially support the conference and upcoming OIPC activities. OSU Chadwick Arboretum & Learning Gardens generously sponsored the facility expenses. Thank you! The OIPC Annual Meeting was held during the lunch hour, which featured the 2018 OIPC Award of Recognition for Delores Cole, OIPC's webmaster. All OIPC Newsletters are archived HERE. OIPC held another invasive plant workshop on October 17th at the W.W. Knight Nature Preserve in Perrysburg in cooperation with the Wood County Park District. Approximately 30 people attended. There were presentations by Jennifer Windus, Adrien Lowien from the Wood County Park District, and Peter Lowe from The Dawes Arboretum. There were also indoor displays of invasive plant specimens for viewing at the lunch break. After the presentations, the participants went on a field trip to see some of the work the Park District has done to control invasive plants on the preserve. Highlights from Invasive Plant Workshop in Dayton a Great Success! OIPC and Five Rivers MetroParks hosted an invasive plant workshop on Saturday, September 15th at Possum Creek MetroPark on the southwest side of Dayton. The focus of the workshop was identifying, controlling, and replacing invasive plants in landscaping and backyards. Approximately 34 people attended and learned about a variety of invasive plants, as presented by Jennifer Windus, OIPC President. Mary Klunk from Five Rivers MP spoke about control efforts in the MetroParks and David Listerman spoke about good, non-invasive alternatives to replace invasive plants. The last part of the workshop was several outdoor demonstrations of control methods for invasive plants. It was an excellent day! The OIPC Brochure is Hot off the Press! 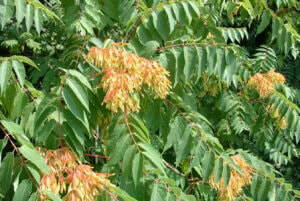 See Invasive Plant List HERE. The hearing for the ODA Invasive Plant Rules was held at the Ohio Department of Agriculture's office on November 30th. There were only 3 people providing testimony, Jennifer Windus (OIPC), Theresa Culley (OIPC and University of Cincinnati), and Anthony Sasson (The Nature Conservancy). All three were supportive of the rules, so there was no opposition. The JCARR hearing was held on December 11th and the rules were approved. The new rules went into effect on Jan. 7, 2018, so be sure to watch the ODA website for more details and the final wording of the rules, including the list of invasive plants. ODA will be forming their Invasive Plant Advisory Committee early in 2018. On January 11, 2018, Jennifer Windus was interviewed by WOSU's Ann Fisher. Listen HERE. Theresa Culley was also interviewed on Cincinnati's WCPO. Watch HERE. Join our partnership program! With a donation of $100 or more we will recognize our ongoing financial supporters on our website's partner page linking to your website. For details click HERE..
Join our partnership program with in-kind support. When you provide in-kind support and/or services we will recognize you on our website's Organizational Support page, see HERE. OIPC is operated by a Board of volunteers and is a 501(c)3 organization so your donations are fully tax-deductible. To make a tax-deductible donation, click HERE. OIPC participates in the Kroger Community Rewards program. If you have not yet enrolled, OIPC would be grateful for your support. You can find enrollment instructions HERE. Thank you! OIPC is collaborating in an effort to assess invasive plants in Ohio. During that process the Assessment Team has encountered a number of important information gaps. Filling these gaps will lead to a better understanding of the invasive potential of particular species. We encourage researchers to help us address these issues. See the Help Answer Research Questions page for detailed questions.